- a product of re-search - current edition : 14th november 2018. PANDORA, 7th June 2013, 2014, 2015, 2016, 2107, 2018. Site updated: 7th April 2019. 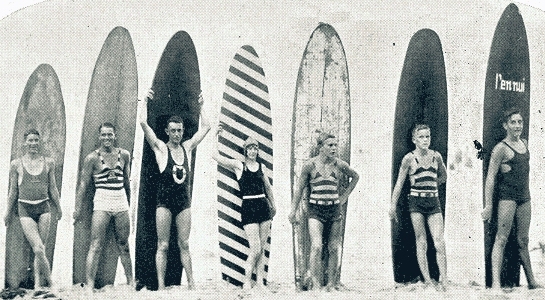 Recently uploaded: Frank Beaurepaire : Riding Waves in Hawaii, 1921. And other material from the Frank Beaurepaire Archive, collated by Craig Baird, ANSM, Torquay. or, On the Origin of Watercraft and Oceanic Navigation. Occasionally transcribing: Jacob Bronowski: The Ascent of Man, 1973. If we knew what we were doing, it wouldn't be called 're-search,' would it? - Albert Einstein. 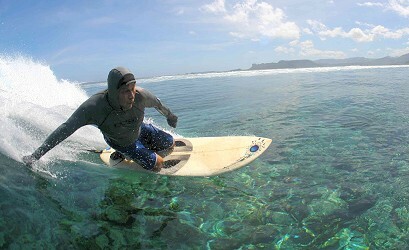 Life is a waste of time, and surfing is just as good a way to waste it as any. - Mickey Dora, 1975.
pods for primates: a catalogue of surfboards in australia since 1900. Tracks, Number 31, Apri 1973 Tracks, Number 32, May 1973. Left: Bob McTavish and Little Red, Honolua Bay, Maui, December 1967. 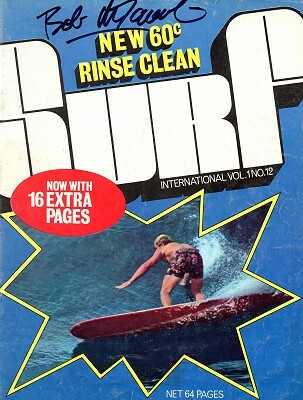 Surf International, Volume 1 Number 12, 1969.
of his book, Stoked!, at Manly Beach, November 2010.
from June 2013 the page headers are being adjusted to the URL. the company name of the Californian manufacturers of Waxmate, c1968. the principals being Garth Powell, Mike Doyle, and Rusty Miller. 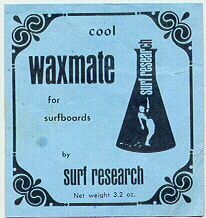 Left: Cool waxmate for surfboards by surf research, circa 1970.
producing Surf International, with editor John Wiztig. to Australia and worked on Witzig's next publication, Tracks. He currently resides in Byron Bay. 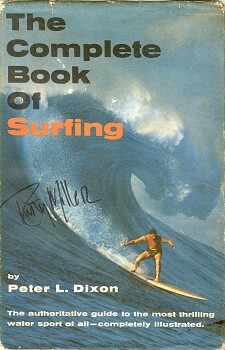 Dixon, Peter L.: The Complete Book of Surfing, G.B., 1966. Rusty Miller, Sunset Beach, c1965. Photograph by Dr Don James. North Narrabeen SLSC, 20 November 2010. Many thanks to Rusty and Simon. 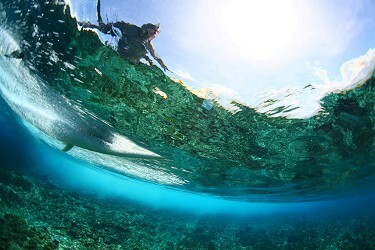 Above and below, Ken Grieves, Caroline Islands, 2010. Sydney University Board Riders, 1970. Unfortunately, the original has disappeared from my files. Rod recently noted: My, how things have changed in 13+ years !!!! I clearly remember your early pages as they were one of the few to contain any paipo information much less so much rich data on surfing. - Matt Warshaw: History of Surfing (2010) Sources, page 479. Hey SURF RESEARCH how about you apply your Anglophilic focus to surfing by our Sydney region Guring-gai and Darawhal Kooris. I know you find this unpallatable. Hint; Start with Kayee mai Gal clan (Manly) at Bombora (place where waves Thunder) maybe quote a credible witness, say an Officer of His Majesty"s Navy or two (Easily found just look). Also consider Marou-Bora and Wamberal (Wam-Bora) by Tarra Gal clan. Dont be shy now ...you can apply your Menzies era view of the world to some real surfresearch. - moondoggie, posted on Realsurf.com Forums, Friday Jun 01, 2012. To Mr Cater, the true champion of the sport. - Nick Carroll, handwritten dedication in Phil Jarrat's Australia's Hottest Surfing Legends (2011) page 106, Freshwater SLSC, 2012. You have a great site and it is doing surfing proud..thanks for your efforts. - Cheyne Horan, July 2013. Geoff, I just love your research, keep it up. - Bob McTavish, March 2013. Geoff Cater's great website surfreserach.com.au (sic) has been an invaluable resource, and many times all lines of inquiry, and Google searches, seemed to lead me back to it. I'm pleased to learn the National Library of Australia has seen fit to archive this treasure.